Now, home cooks can enjoy the next generation of surface cooking for the Pro Rangetop, Pro Harmony® Ranges and Pro Grand® Ranges with the introduction of the Thermador Professional Five Pedestal Burner range. 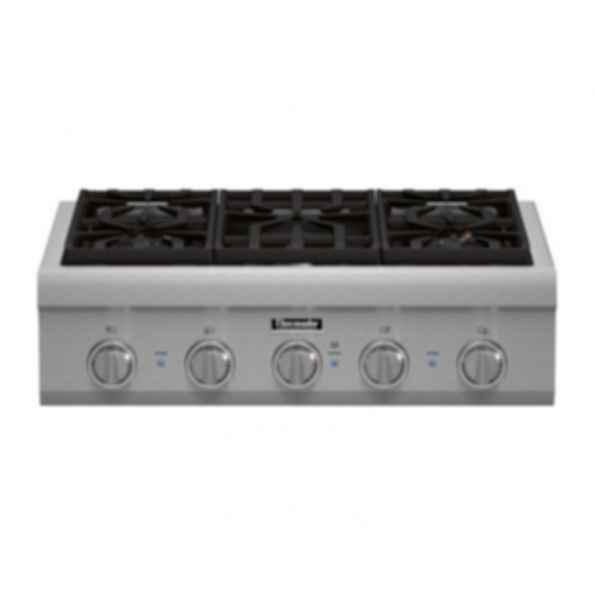 Our new 30-inch Professional Series Rangetop gives you five pedestal Star® Burners (2 with ExtraLow® feature). The Thermador fourth generation, patented Star® Burner delivers superior power and heat distribution while our exclusive burner pedestal with QuickClean Base® allows easy access under the burner for effortless cleaning. This is the only Five Burner Professional Rangetop on the market.